If you have an unfinished basement in your home, you’re losing out on prime residential space, You need a Basement finishing and Remodeling . At Trademark Construction, LLC, we believe that any extra space is valuable, and that a professional basement finishing or renovation will add both value and functionality to your home. 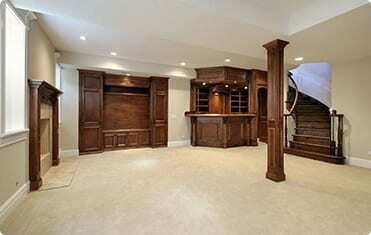 With proper planning and design, you can put your basement to good use. Turn it into anything you desire – a home theater, a library, an extra bedroom with added bathroom, a game room, a home office, and so much more. Whatever you can envision for your space, our team can bring it to life for you. Check out the process ! Start by scheduling a phone consultation with us so we can discuss your goals. Just give us a call at 410-633-2308, or complete our appointment form, and our knowledgeable receptionist, will help you start the process. You will then meet with one of our experienced estimators and discuss your remodeling plan in depth, at your home. Through our 17 years of service we can tell you that no two renovation projects are alike. This is exactly why we tailor a customized design and renovation plan to meet your individual requirements such as design, budget . Remember a design or plans needed to avoid 1 million issues during the remodeling . Financing options can also be discussed during this stage. After our initial consultation at your home, we will schedule a meeting with you in our showroom to review our proposal. After the proposal has been presented, we proceed to the design build agreement, where we formalize the project details, and you will be required to deposit a small fee that addresses the paperwork and your initial design needs. 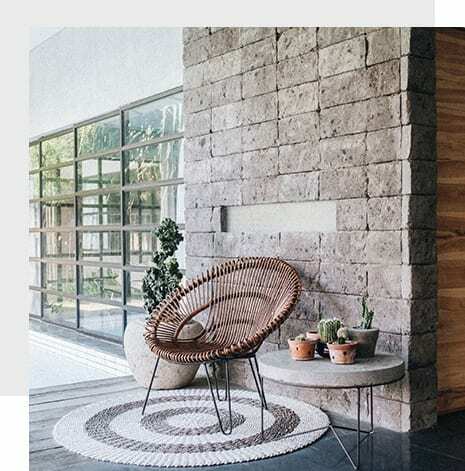 Following this, we proceed to the material selection step, wherein you make your choice of materials, whether it’s for your bathroom flooring, or kitchen cabinets. Our expert design professionals will then render a plan that meets your requirements. Once we have the master plan in place, we are able to give you a more detailed breakdown of the estimated costs. We will always try to present our customers with multiple solutions, all within their budget, so they can choose what appeals the best to them. You can even ask us to make adjustments on these designs, before we finalize the plan. Following this, the final contract will be drawn out, the construction plan is scheduled and you can watch your dream home renovation materialize into reality. 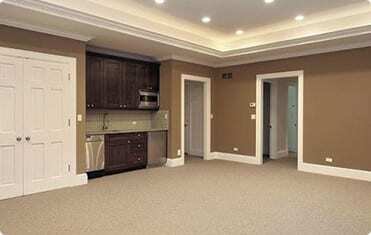 At Trademark Construction, we offer a full range of basement finishing services to our clients. 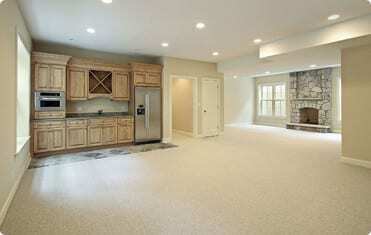 No matter what you want to use your basement space for, our team can help. If you have an idea for transforming your basement, but aren’t sure where or how to start, we can help you complete your design. And if you know you want to refinish your basement but aren’t sure what you want to do with your space, our team can assist you with that too, based on what you and your family need. Make the most of your space with a professional design-build consultation with your local home renovation team. We offer you nothing but the best service at Trademark Construction. Whether you want a complete overhaul of your basement or are just looking for a partial renovation, our experts will be happy to help. We always use the highest-quality materials available for your budget to ensure that your renovation will last for a long time, and will help you choose from a variety of designs and themes to add value to your property. You can even transform your basement into an extra rental space that will earn you hundreds of extra dollars every month! We know the value of your time and money, and offer you quick, cost-efficient basement remodeling solutions that keep both your requirements and your budget in mind. 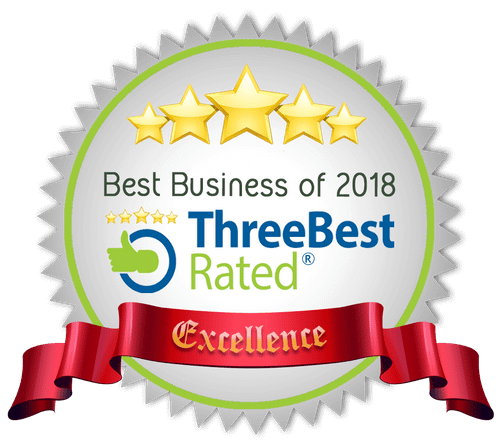 Our licensed and insured team will clean up after every day of work, so that you don’t have to deal with your home being a mess, and all our labor is warrantied for an extra level of protection and peace of mind. If you’re looking for reliable, professional basement renovation and refinishing services in the Baltimore, MD area, look no further than Trademark Construction, LLC. Call us today and set up your consultation; our team will be happy to assist you! 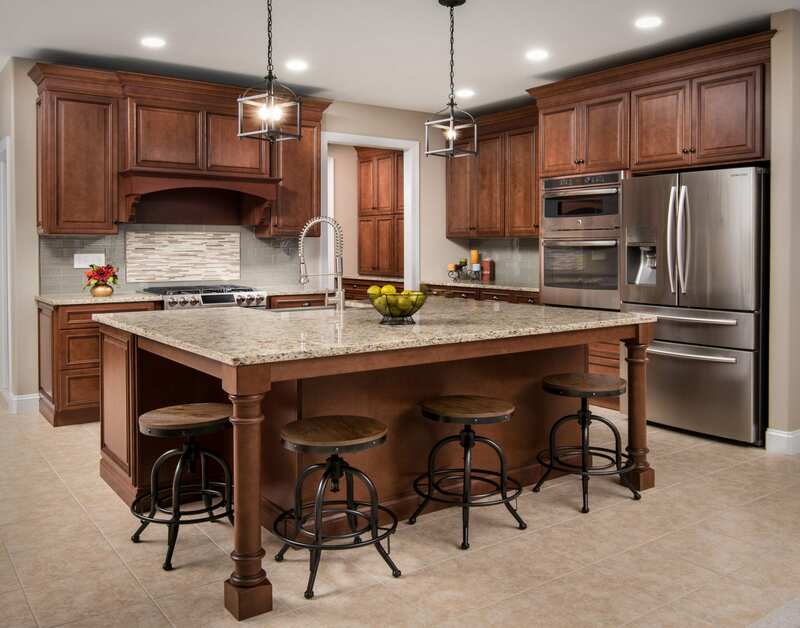 You can also explore our kitchen and bathroom remodeling pages for more ideas and examples of what we can do in your basement space, or check out our home additions to see how we can further customize your property to suit the needs of you and your family. We look forward to hearing from you soon!